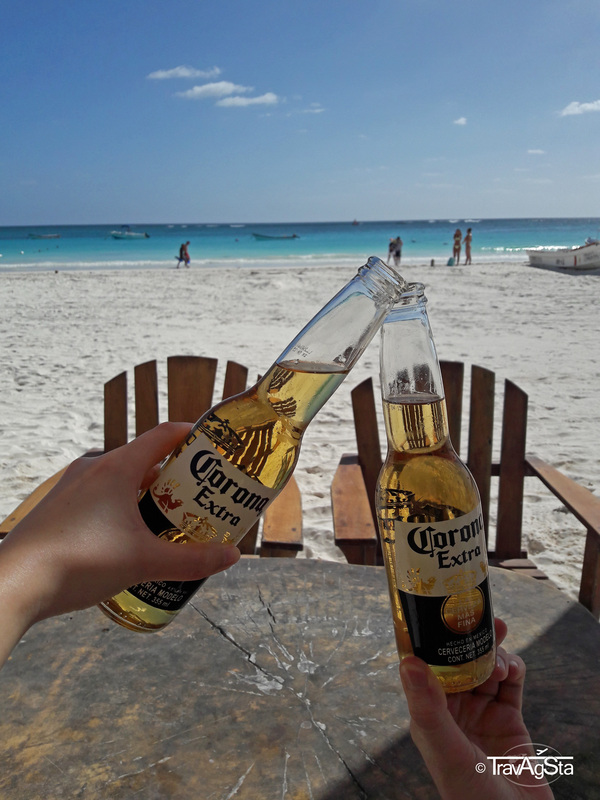 After having gotten the first impression of our trip (see ‘Our best pictures’), we now want to tell you about our first stop in Mexico. 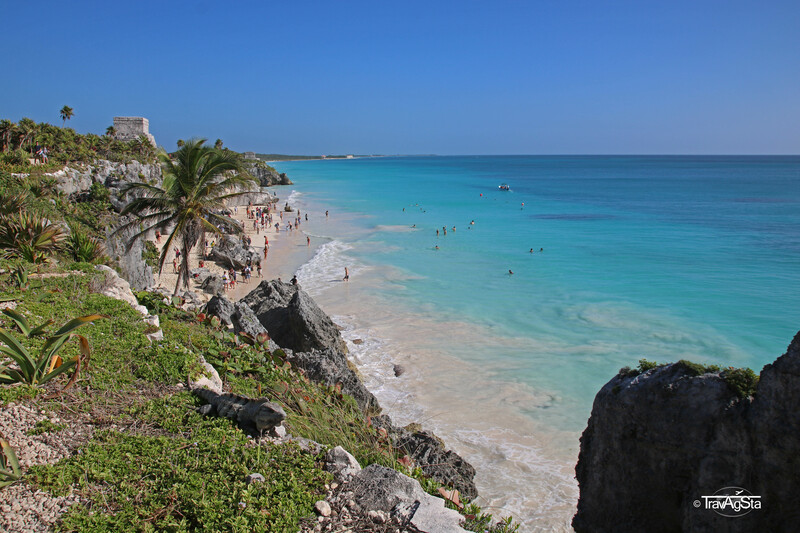 We arrived in Cancun, received our rental car and headed to the Riviera Maya. 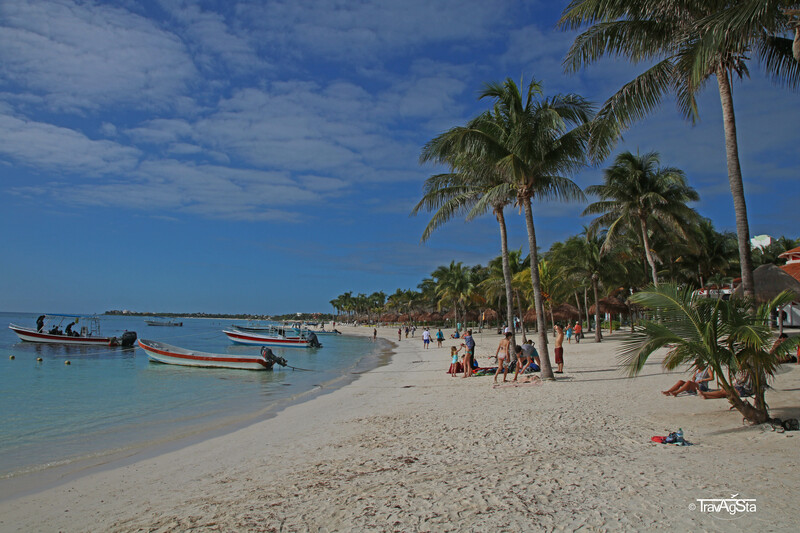 We booked three nights in Akumal at the lovely and idyllic ‘Villa Morena Eco Living’, but more about that later. From here we started our day trips to a few highlights of the region. 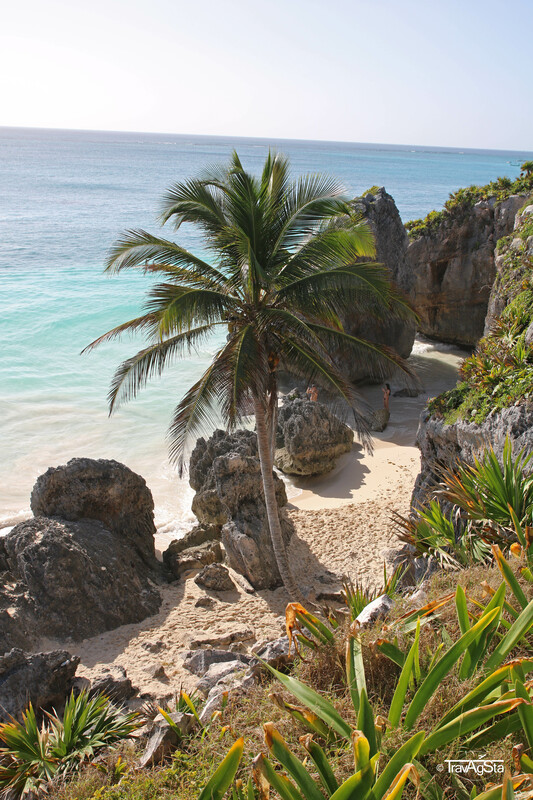 Our visit to this actually beautiful beach was one of the disappointments of our journey. Of course, it’s an exaggeration to say that but basically, there were so many things better than this. 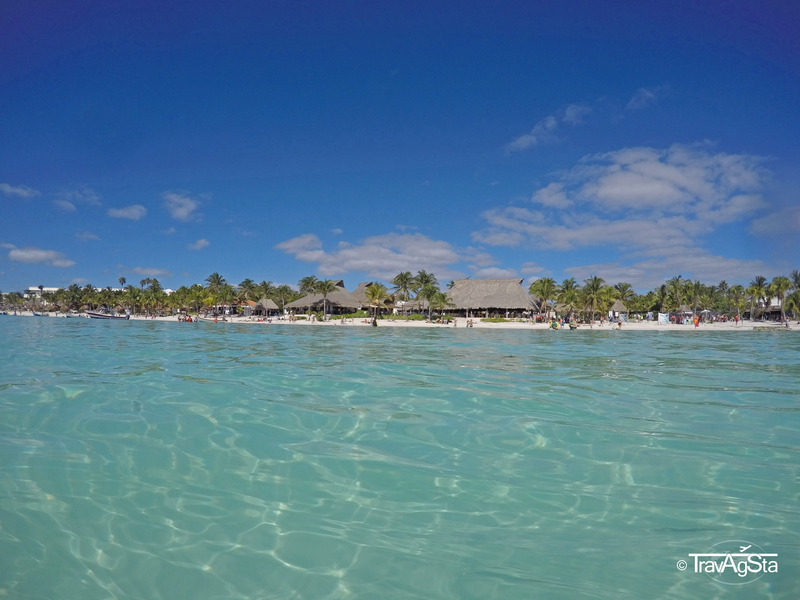 We wanted to snorkel here and see some turtles with a bit of luck. The moment we arrived some guides advanced us and told us snorkelling in most areas is no longer allowed without a guide. To make it short: Of course, you won’t see any turtles without a guide. 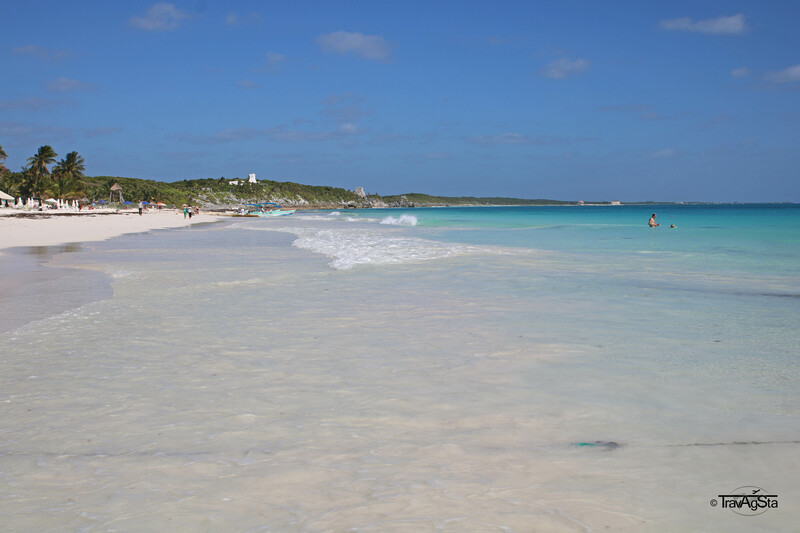 Additionally, the beach was completely overcrowded even early in the morning. It was around 9.30 am and there were so many people on the beach and in the water, we just wanted to escape. The water wasn’t clear enough (probably due to the many people) and the guides were just too expensive for this probably poor experience. Jan was snorkelling a little bit in the permitted area while I was trying to get something like a tan. At least, we didn’t pay for the parking lot for nothing. It’s a shame as the bay is really beautiful. The information we found on the internet weren’t relevant anymore. One year ago you could explore and snorkel the area on your own. When seeing the masses of people coming here, the reason for the changes appears all the sadder: the alleged protection of the turtles. In our opinion, this is not going to work with this vast number of people here. 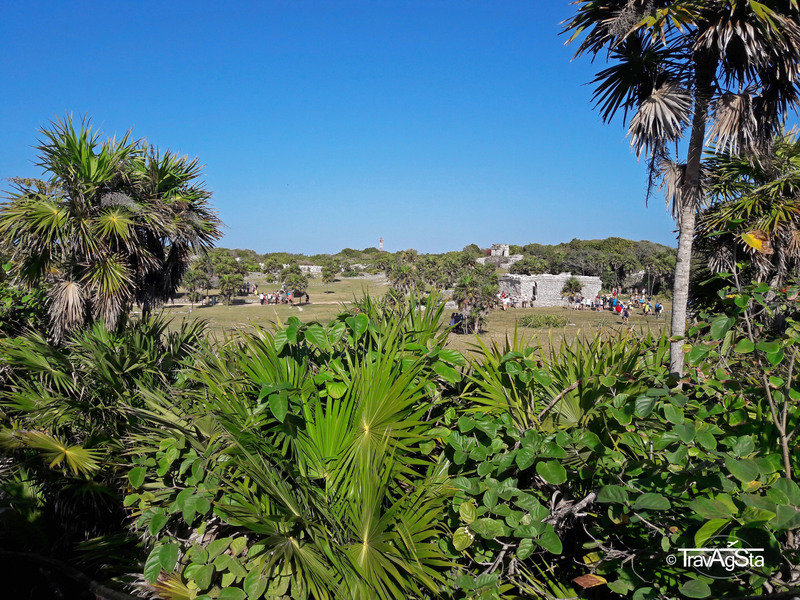 Another highlight at the Riviera Maya are, of course, the Mayan ruins of Tulum. 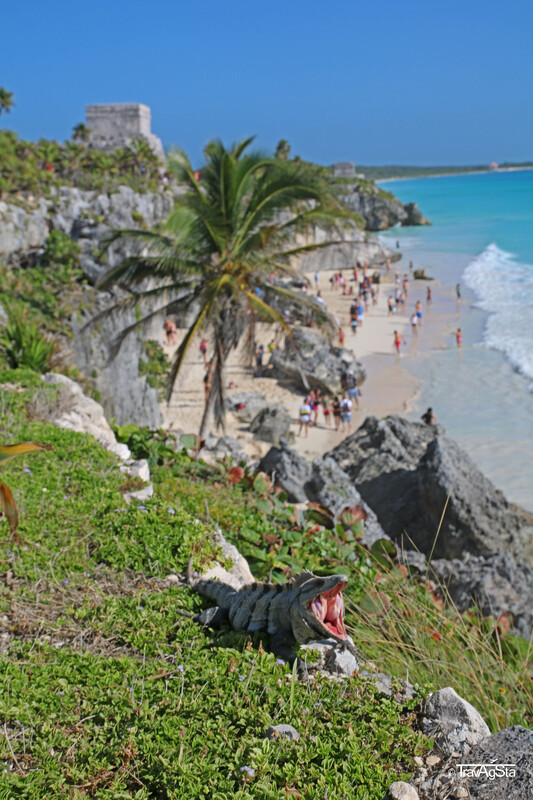 They probably make up 90% of the pictures on the internet when searching for the Yucatan peninsula. We expected the masses here. We came to the parking lot around nine in the morning and could clearly see, we weren’t the first ones, from the number of busses that were already here. Turns out it wasn’t that bad (not yet), as the whole area is really huge and the groups spread really well. It might be worse around midday, though. 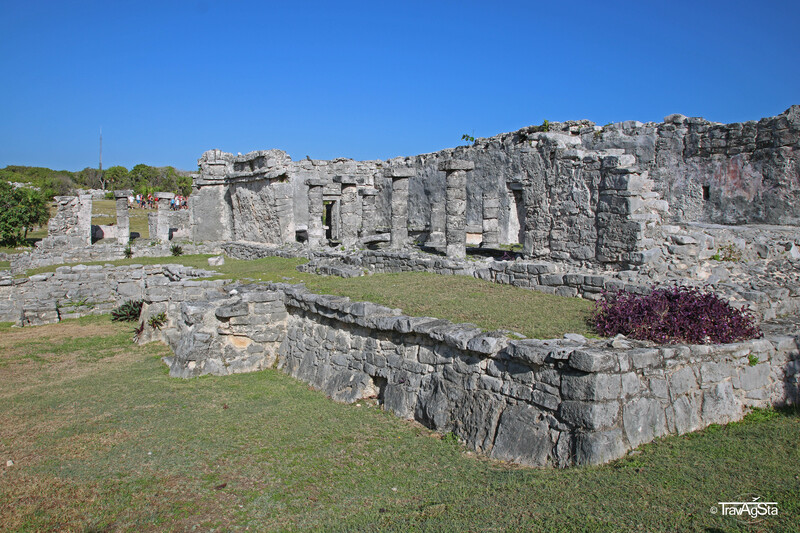 In the 13th and 14th century Tulum was one of the larger cities in the Yucatan peninsula. Due to its location at the sea, it was an important place for defence and trade. We were listening to a guide that compared the meaning of the Mayan cities like this: Chichen Itza compares to what is Washington D.C. today; Tulum would be Houston then. 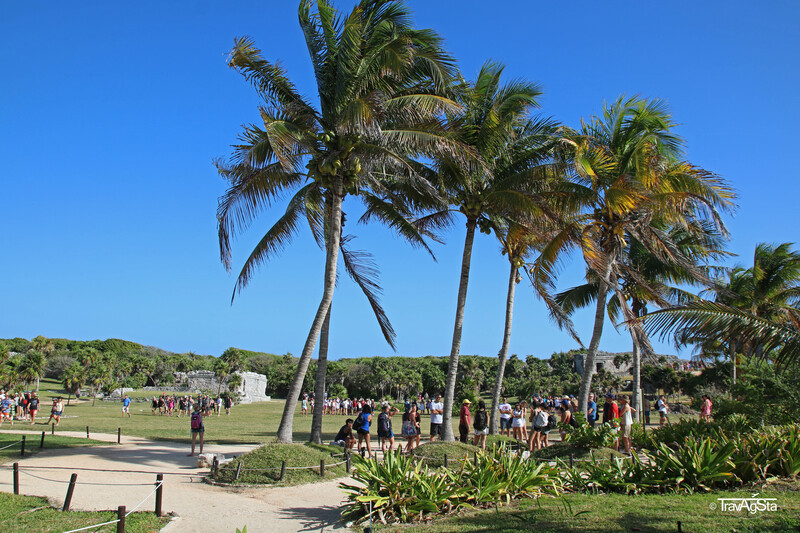 Though there are more important Mayan ruins than this one, people don’t miss seeing this one. The amazing ‘Temple of the God of Wind’ (‘Templo del Dios del Viento’) is what everyone wants to see. 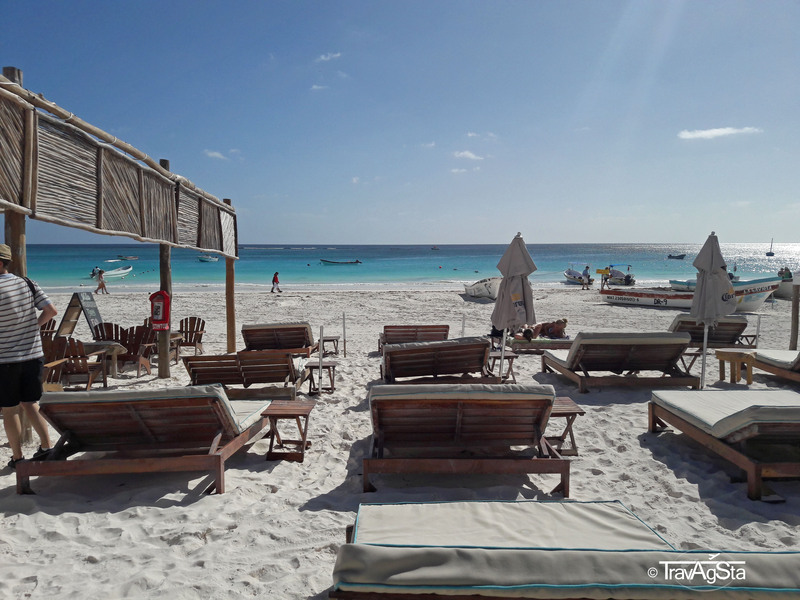 It looks majestic overviewing the powdery white beach and the turquoise sea. Without the other tourists, I could have stayed here for hours to watch that perfection. On the one hand, the beach looks really inviting, on the other hand, it was already crowded that early and more people were to come. It remains a dream to have a beach like this for your own. I keep continuing dreaming. 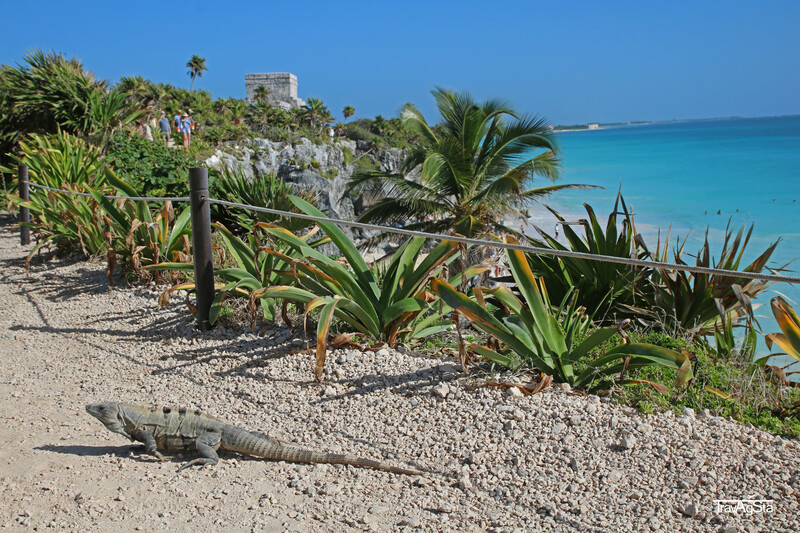 If you come early, you will have a good time visiting the Mayan ruins of Tulum. Later it might be a little bit too hot. 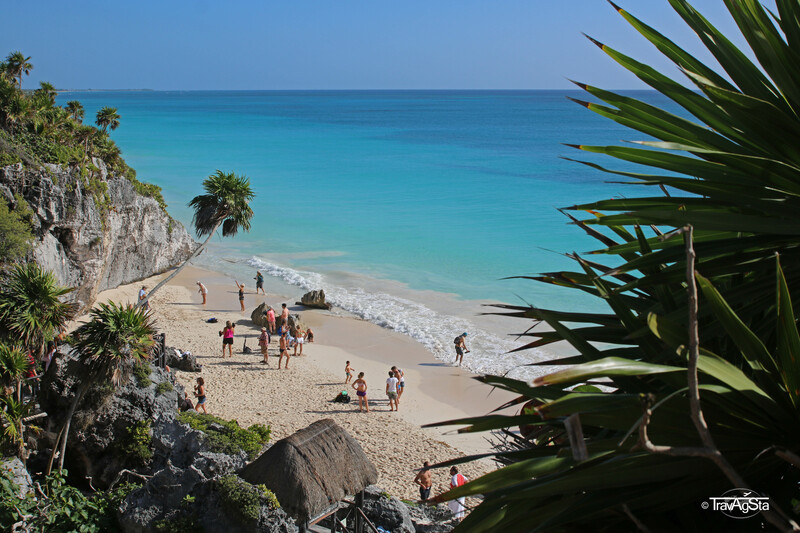 Info for those who want to stay overnight here: The beach of Tulum is one of the prettiest ever. Unfortunately, overnight stays are really expensive and there are a lot of people here. If you book early, you might get a good price for value. The Yucatan peninsula spoils mankind not only with ruins and dreamy beaches but also another highlight – the Cenotes: these are natural pits exposing groundwater underneath and invite everyone to snorkel and dive. 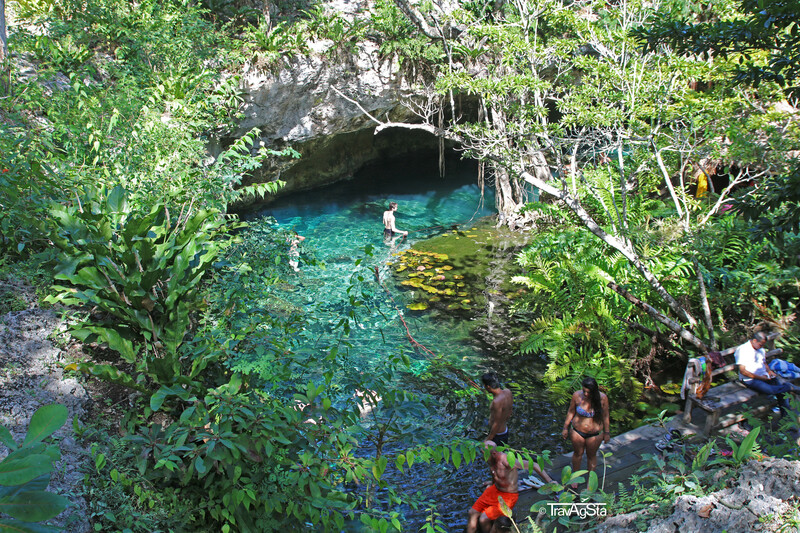 The name ‘Cenote’ derives from the Mayas, which used them for water supply. They are also the reason for the green vegetation that is characteristic of the region. 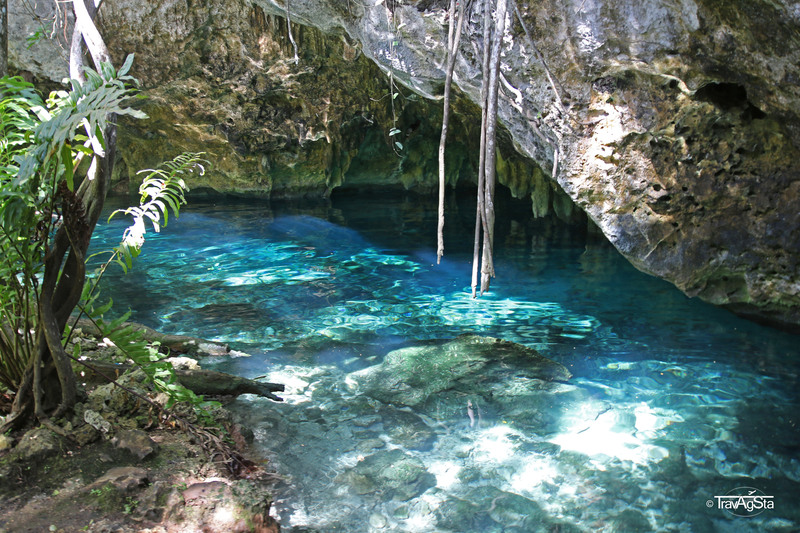 Meanwhile, there are of course a few particular popular Cenotes. One of them is the Gran Cenote. 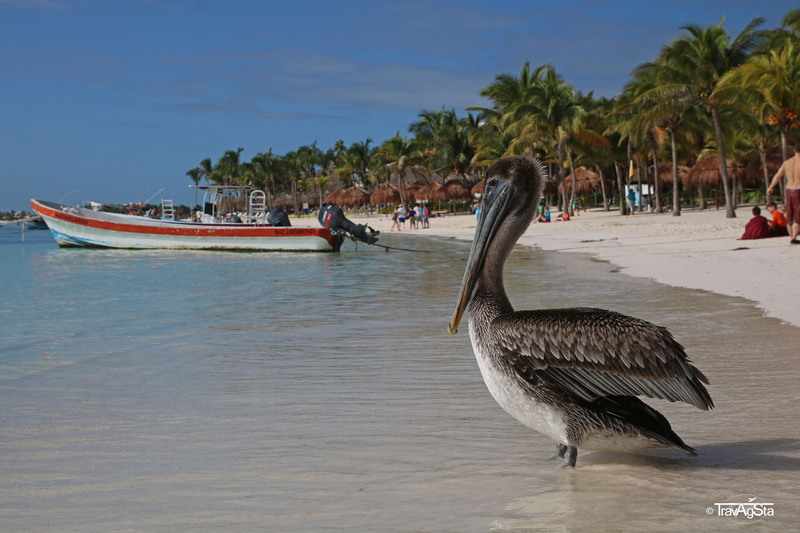 The best time to visit is from 11 to 12 as the sunlight is perfect for photos and for snorkelling then. It’s a quite busy place, but people spread well so it didn’t bother us. Among hundreds of fish, we luckily saw two turltes (which we missed in Akumal, see above). Yes, we had a lot of fun here. By the way: Gran Cenote is a picture perfect place. 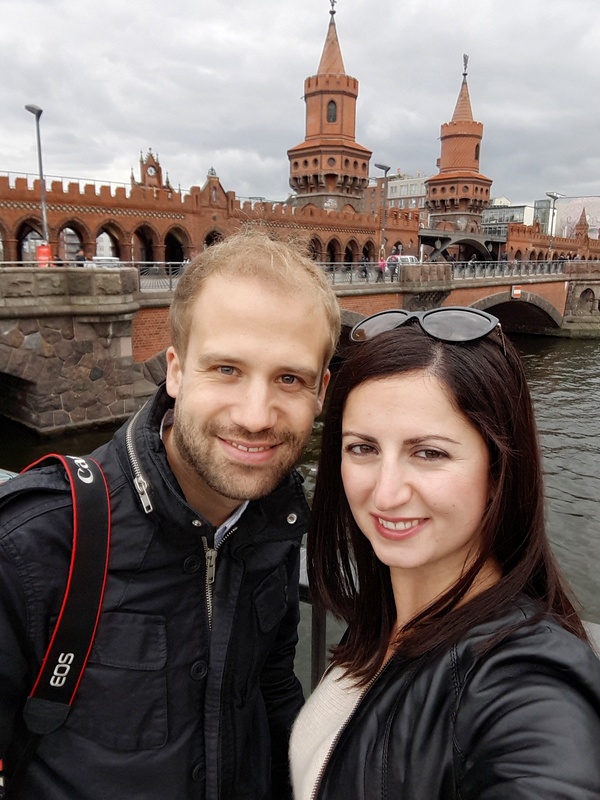 At the end of our trip, we have mingled feelings for this region. For two reasons: On the one hand, it’s really beautiful, on the other hand, it’s restless overcrowded and let’s say ‘really American’. (Actually, not much Mexico left here) On the one hand we expected it to be like this; on the other hand, it still bothered us somehow. We won’t discourage anyone to travel here. It’s just too beautiful for that. But paradise is definitely somewhere else. 2 years later and things haven’t changed much if not worse. Has so much to offer in the area but spoiled by over -development and a lot of hassle for tours etc.